Like every year just before the summer holidays, pupils from the local ungdomsskule (secondary school) are visiting KHMessen. Hans Pulles organizes these events every year, together with the artists that are staying in Messen at that time, and who want to be part. 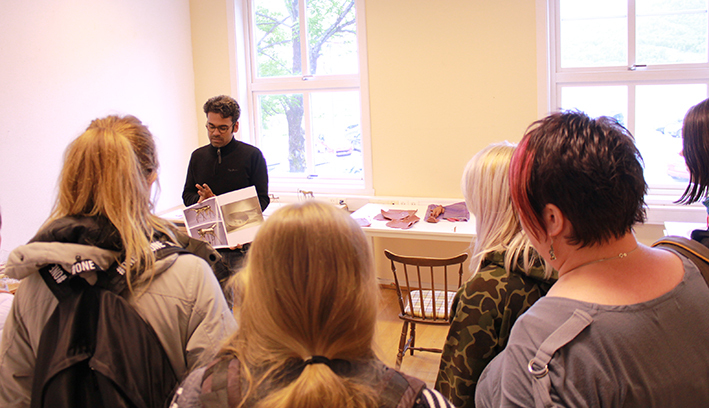 We make a full program starting with a studio tour, where we visit all the studio´s from the artists in Messen. There is a reading about Messen and about what creativity means. And after a short break there are workshops, given by the artists. 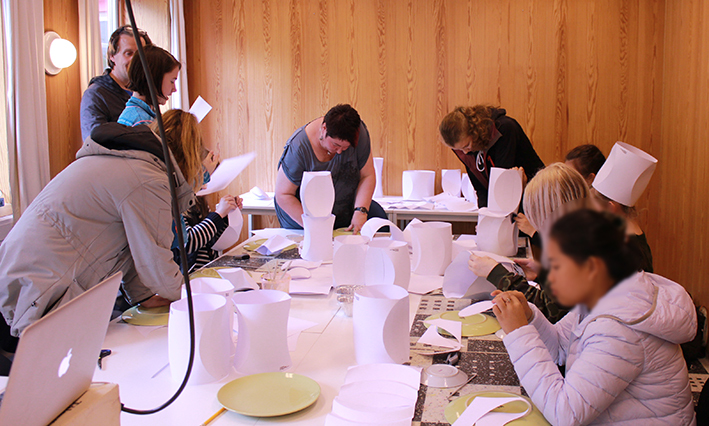 This year the workshops were about complex form finding with soap and curved folding exploration with paper. These workshops have as goal to expand the pupils idea of creativity, the function of creativity and of being an artist or designer. And of course to show that it´t FUN ! Marika Kaipainen is showing her community art project through a powerpoint presentation, and demonstrates a clay workshop where the pupils have to clay a face blindfolded (not allowed to watch). They have to trust their hands as being their eyes. Saurav Roy Chowdury shows his bronze works at his studio. 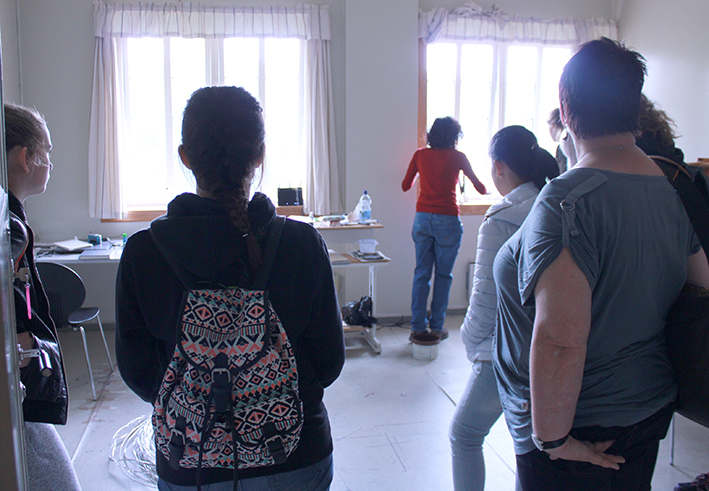 Despina Nissiriou is showing her creative process at het studio. After seeing an introduction video about the company Robofold. 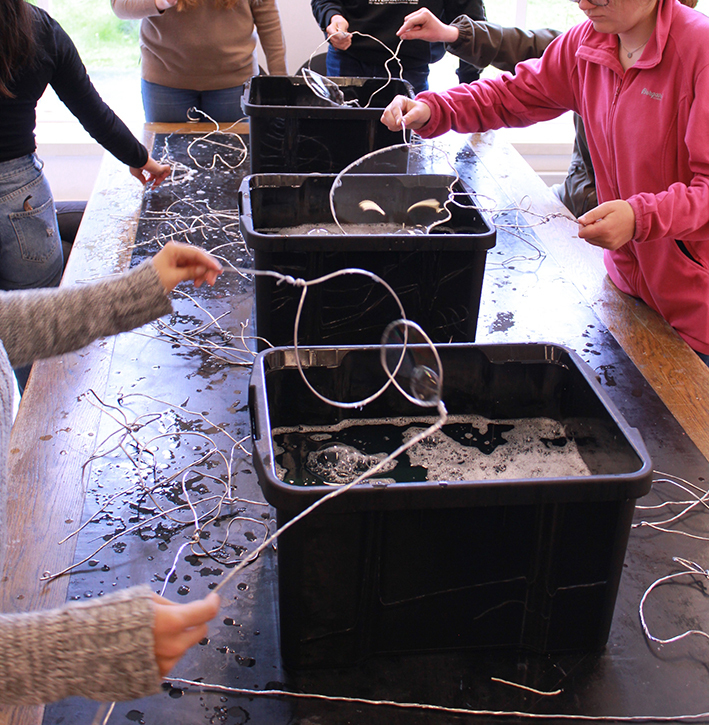 The folding workshop started, lead by Hans Pulles and Marika Kaipainen. 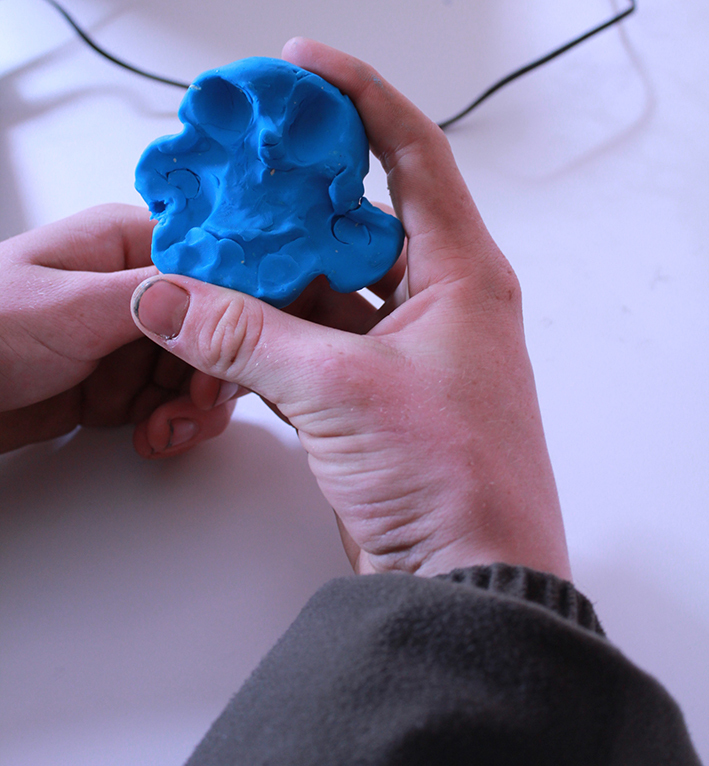 Making a 3D form by folding paper with simpel household tools like plates and knitting needles. Starting with simpel forms, ending with complex forms. After seeing the introduction video of the architect Otto Frei and Zaha Hadid, the pupils discovered complex forms by using soap. 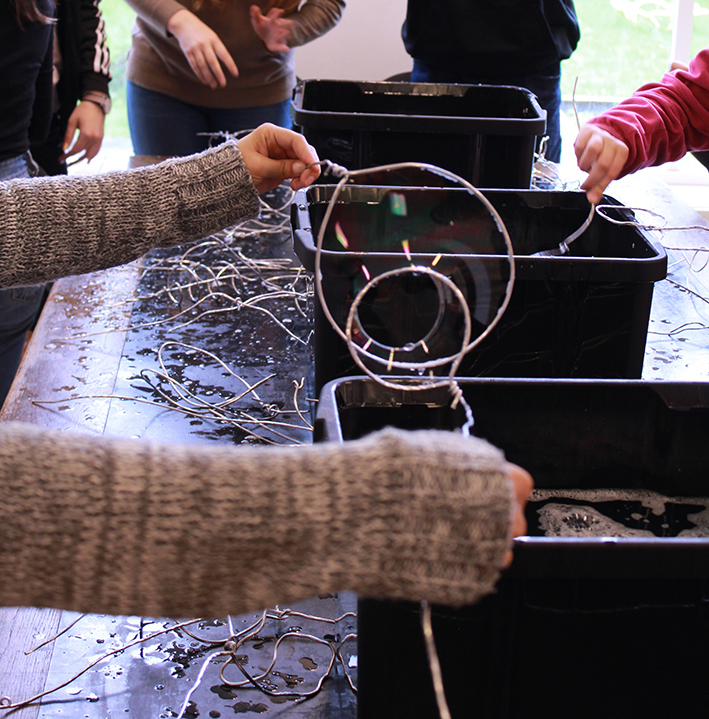 Bending aluminium threads into soap holders, and then explore and play. The workshop was lead by Despina Nissiriou and Saurav Roy Chowdury. 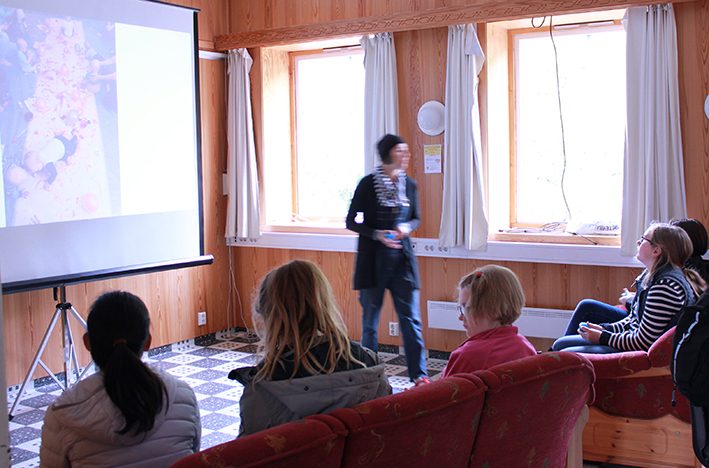 These workshops are financial supported by NORSK KULTURRÅD and SPAREBANKSTIFTINGA HARDANGER. 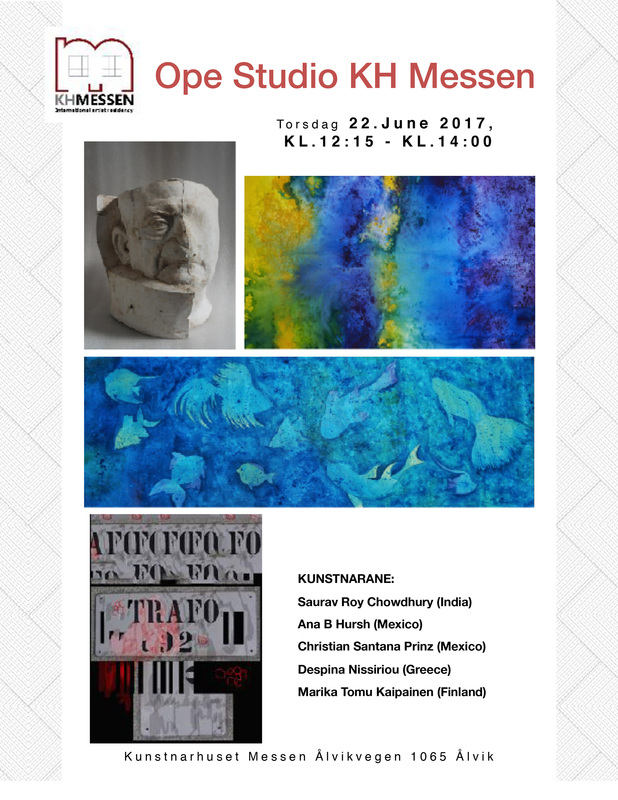 Welcome to the next Open Studio here at KHMessen!